while there are thousands of window, door and conservatory installation companies, very few of them are willing to do the remedial call outs when parts invariably fail or, indeed, are able to carry out essential maintenance to prevent failure in the first instance. vellacine have served home owners since 1978 throughout wales/south west, and our engineers have a depth of specialist knowledge and experience to be able to effectively maintain, repair or replace the majority of window, door and conservatory systems. all vellacine window, door and conservatory installations are backed by our comprehensive 10 year guarantee and as such we provide our customers with a prompt and reliable window and door repair service under their replacement window warranty. however you do not need a vellacine warranty to benefit from our dedicated repair service and regardless of whether or not you purchased your window, doors or conservatory from us, we have access to a wide range of hardware components and parts including locks, hinges and handles from our own hardware trade counter in hadfield road and can offer you a personalised specialist service carried out by our experienced engineers. additionally, to help you keep your windows, doors and conservatories operating as they should, we can also offer an annual maintenance service. our surveyor can arrange to call at a date/time convenient to you and provide a written survey/quotation with regard to any adjustments, remedial or repairs required. our experience in the commercial and domestic markets ensures that, whilst we always embrace and seek out innovative products and solutions, we still continue to provide the traditional skills and services we feel are paramount. 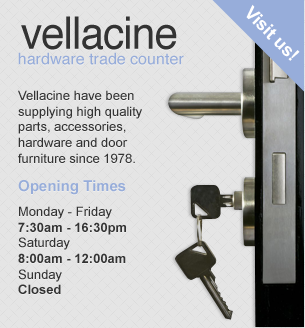 today the internet has transformed the way we buy and sell, and we at vellacine offer our hardware services also online, however we feel that often it is necessary to see the products whilst discussing benefits and any alternatives with a knowledgeable person face to face. at our showroom in hadfield road we display a large range of door furniture, door controls, locking mechanisms, push plates, letterboxes, signage etc which you can physically hold and feel to determine if what you originally visualised will actually be suitable. stocking a wide variety of architectural ironmongery, our trade counter is staffed by personnel with many years’ experience as locksmiths and architectural ironmongers, sourcing and supplying unusual or unique items for our many varied clients. 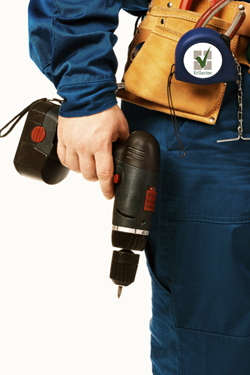 with a seemingly limitless choice of hardware available, our personnel can give advice and guidance on what would suit your home/project whether that’s a new key, a lock or window mechanism repair or a new automated entrance, multisuited locking or access control system configured how you want it and in line with the latest standards.